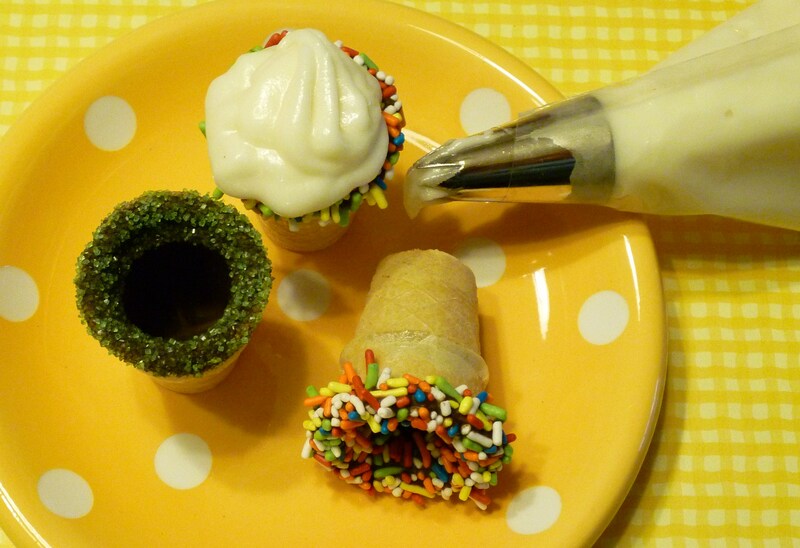 This may seem odd coming from me … shot glasses … not a cupcake or marshmallow pop … Edible Shot Glasses! 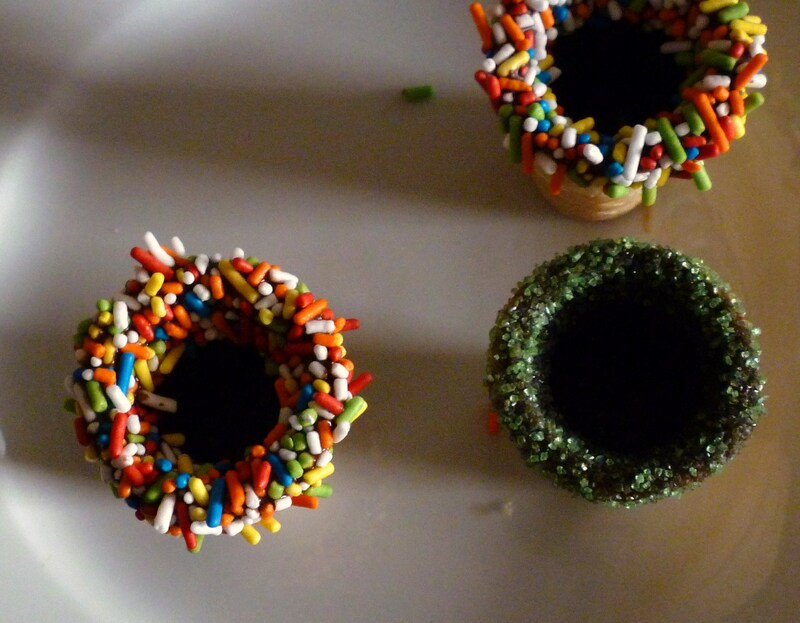 It has all my usual components … chocolate, sprinkles, etc. 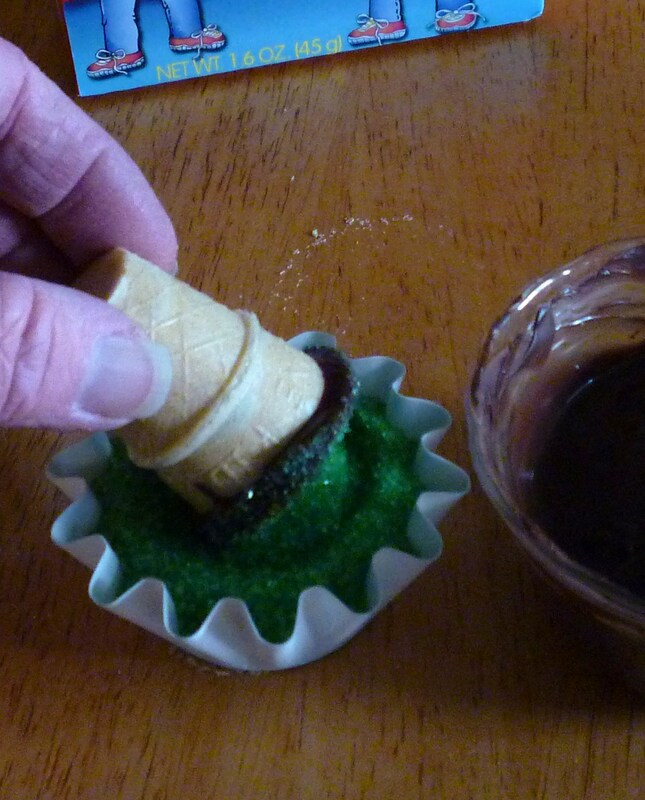 Oh, I almost forgot … mini ice cream cones! Now I’m sure you can figure out what I did. What about the sugar lovers? How about a frosting shot? I do apologize for the photos … I was so wrong about the available light 😦 I hope you can get the idea. I chose to use to use dark chocolate … but any flavor or color will work. These could be made several weeks in advance and stored in an airtight container at room temperature. 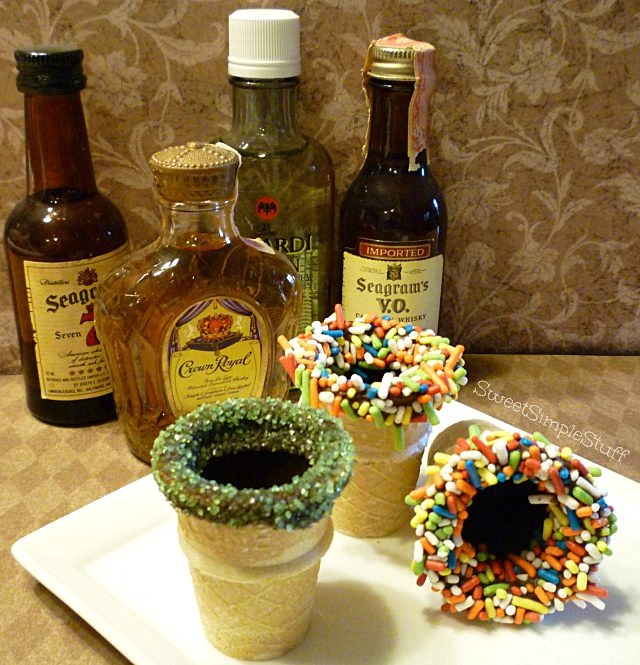 What would you put in your edible shot glass? What a great idea! Frosting shots for the kiddies and the hard stuff for the adults. This is a fantastic idea! 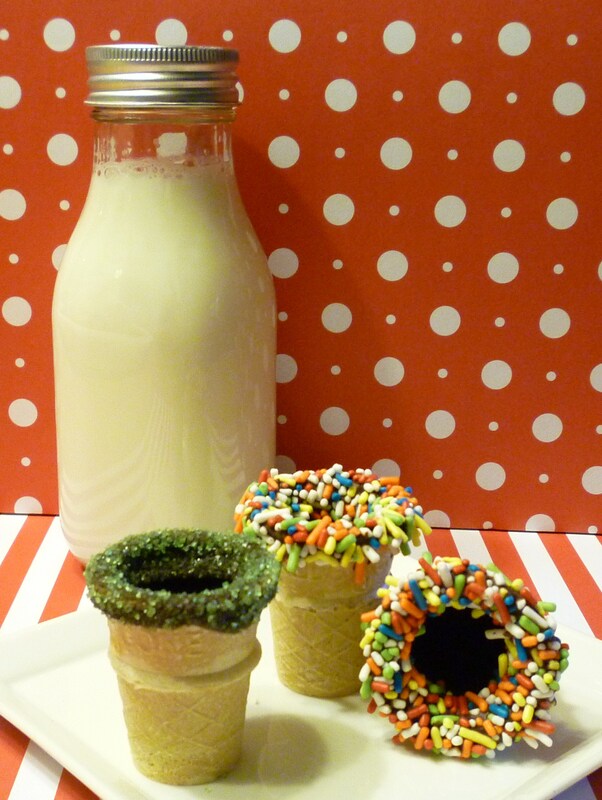 I love how you can use it for kids parties and any leftovers can be a fun nightcap for the exhausted adults. For adults, I would probably put Baileys, Frangelico, or Kahlua in them. 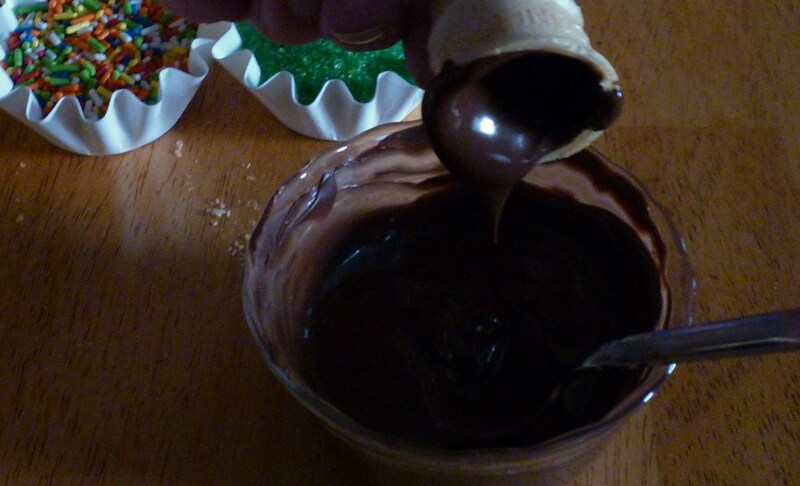 I was thinking about making some nice creamy, rich chocolate Mousse shots….yummy ; or even some jello shots. What a great treat these would be for Easter or Anytime. I love a liqueur called Creme de Cacao. Wouldn’t that be absolutely delicious in a chocolate lined/dipped “Edible Shot Glass”! I do think you have a great idea! 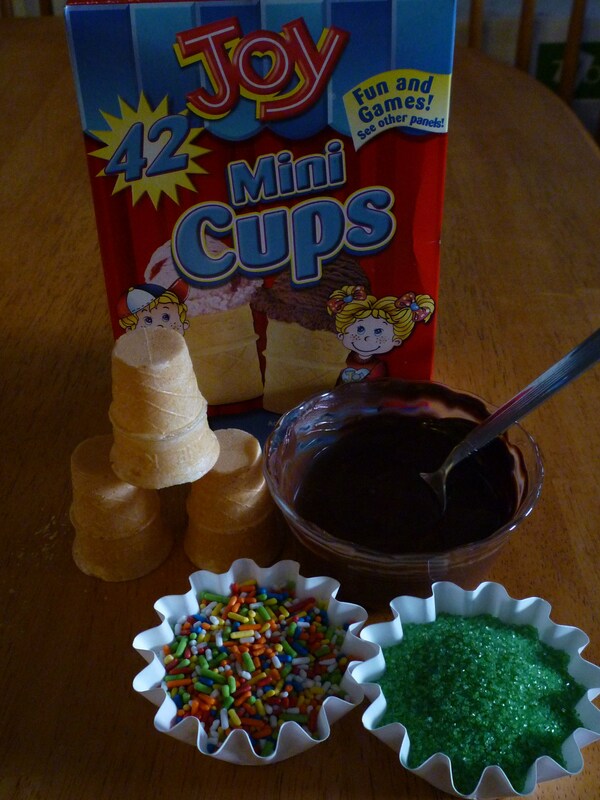 How yummy and fun, These would be a great party treat. That is a great idea! Perfect for the ‘St Patty’s’ celebrations that are soon to come:) Thanks for linking up to “Cowgirl Up!” Glad to have such fun posts at the party this week! Well, those are just too adorable! Will the chocolate lining hold liquid? How cool! I saw your post over at the “Cowgirl Up ” blog party. Thank you for visiting … I am new to Cowgirl Up … so many good ideas! Awesome idea!!! I made these for my sisters bachelorette party and they were a huge hit with some coffee liquer!!! I used semi-sweet chocolate because i didnt have dark and it was perfect! How fun 🙂 I’m glad you liked them!